Would you like to listen about great inventions from Indians? Would you like that Indian people should also get a large number of Patents? Would you like patent office working like a private sector bank (not like a typical Indian government office)? Would you like an artisan or a craftsman from rural India getting his picturesque designs registered? Would you like registration of amazing traditional knowledge and practices spread out in every village in India? Have you ever thought about enabling innovative mechanics and helping students to obtain patent for innovations? Thinking is the beginning and soon we can make it happen. The world of tomorrow will be governed by those who are able to have intellectual properties (intellectual properties or IPR means a creation of mind and includes patents, copyrights, trademarks, designs, geographical indication etc.). Even today, most of the large companies are building intellectual capabilities (like new technologies, patents, research etc.,) and get the products manufactured through other companies. Those companies, which have more number of patents, are able to earn more also. Therefore, it is important that we should train our youth in the art of developing and protecting intellectual properties. It is a misconception that Indians lack research and innovation capabilities. It is also a misconception that patentable research can only be carried out in highly expensive research laboratories, which are rare to find in India. Honey-bee Network and SRISTI (a voluntary organisation started by Prof. Anil Gupta of IIM, Ahmedabad) have actually traced out a large number of inventions by illiterate but innovative workers, farmers and creative craftsmen. Our misconceptions about our IPR capabilities have resulted in a dark phase for Indian intellectual properties. Government departments dealing with intellectual properties also adopt similar attitude. There is a saying that if you nurture negative attitude, you cannot expect positive results. This is true in the field of IPR in India. When I interact with students of technology, I get surprised to see their imagination and foresight with regard to technology. One student told me many ideas of producing electricity, for example, he would like to put fans on top of Indian Railway Coaches and produce huge amount of electricity. Another student gave me many ideas of application of new technology (for example, he has evolved a technology to produce tooth in just a fraction of a minute using 3D printer technology applications). Another student told me about how he could use the tall buildings to produce wind energy, and thereby, decorate those buildings also. Another student shared with me the idea of using a combination of piezo-electricity and solar energy for lighting the express-ways and busy bridges. However, do we have a system to encourage these students to get the invention patented? Do we have a patent office, which is customer-friendly office willing to help and guide any young inventor? Can’t we have a prompt patent filing system in place? Can’t we have a system to guide people about registration of Geographical Indication (GI), designs and other such intellectual properties? The systems are far too slow. Mr. Rajneesh Bhandari, an inventor and an entrepreneur, applied for 10 patents both in India and the US. He first applied in India and they applied in the US. He has got more patents registered in the US than in India (because Indian patenting system is slow, so he is yet to get his patent approved in India). Mr. Bhandari is an entrepreneur, and hence he can afford the huge expenses involved in patent filing in different countries. However, a young student cannot do it. Can’t we have a system whereby such expenditure are borne by an organisation on commercial terms and conditions? 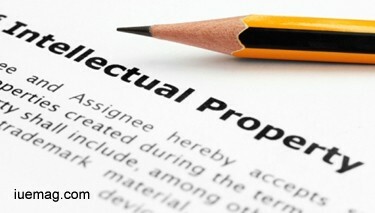 Why can’t we introduce information technology applications and apps to make Intellectual property registrations easier? Can’t we have 24x7 online help and online support systems for intellectual property related queries? There are more than 30 products in Thar Desert, which have scope of obtaining Geographical Indication (GI), and later, these products will be able to earn foreign exchange resources also due to their export potential. However, the requirements of forming an association to apply for GI cannot be fulfilled in those cases. Can’t the government take a lead and form a society for such purposes and enable us to protect our intellectual properties? It is high time that we simplify our intellectual property laws and enable every person to apply for intellectual properties with the help of online-web-based tutor/guide. There is a need to introduce the process of IPR registration in the educational institutions itself so that the students understand the value of their innovations so that they can also convert their innovations into profitable property rights. National Innovation Foundation (NIF), Ahmedabad is doing a pioneer work for promoting intellectual properties and innovations. However, we need many such institutions and we have to incorporate technology to simplify the work and multiply the impact. We have thought about how to introduce such technology innovations in the innovation office (the Patent office of India) so that even the illiterate (but innovative) people can also get their inventions and designs patented. Any facts, figures or references stated here are made by the author & don't reflect the endorsement of iU at all times unless otherwise drafted by official staff at iU. This article was first published here on 12th April 2015.